On Tuesday night we have a special guest coming to give us a talk. Please can you make sure you arrive on time. Also, if you want a new hoody or a polo shirt please bring your completed form and your money on Tuesday night, we will be placing the first order for polos next week. We are having another movie night on March 20. I have put a few movie choices below, please vote for the one you want to watch. Thanks to all that came last night, it was a good night. I have made a quick video of the clips I shot. 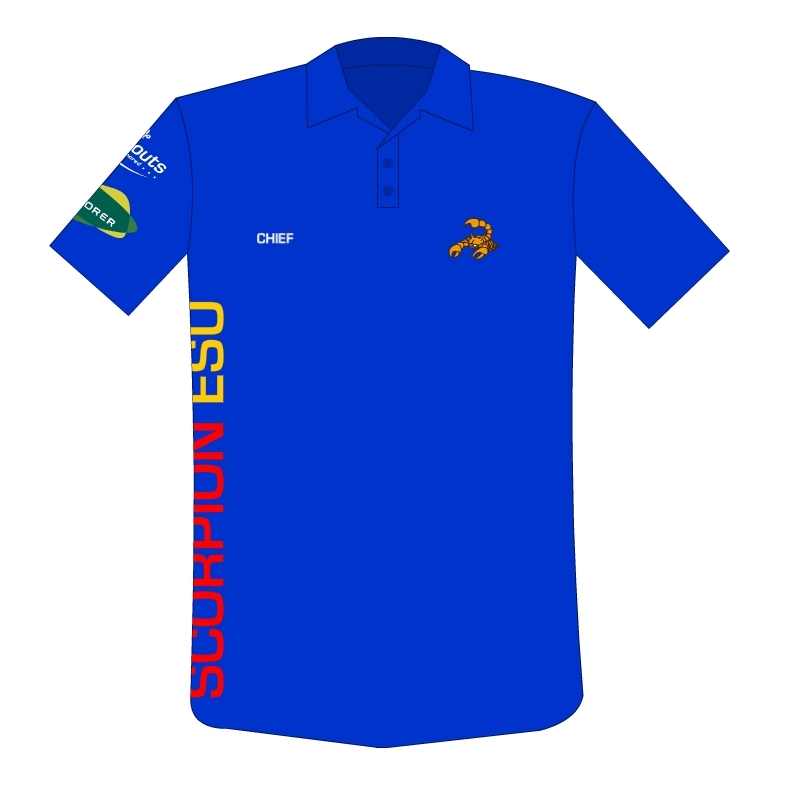 There has been very little response to the scorpion polo shirt so I decided to make you a mock up so you can at least get an idea of what it will look like. I have spoken to the company that will make the polos and they have said they will put names on the shirts for and extra £3 each. I have re-done the order form to reflect the final cost, it is up to you if you want to have your name (or nickname) on your shirt. Order forms can be downloaded from here. First up it is uniform night tomorrow so please make sure you are in uniform, Katie and Dan (B) will be in charge for the night, they have asked me to ask you to bring some old clothes and a towel. Second, we are going to Awesome walls on the 13th and only 12 of you have paid any money, if you want to go YOU MUST PAY TOMORROW NIGHT! Third PLEASE ADD YOUR EMAIL TO THE WEBSITE!! !